A few months ago, I wrote a newsletter about the amazing benefits of organic Apple Cider Vinegar, one of my top 5 super foods. This month, I want to share with you the second of my top 5 super foods: coconut oil. Truly a “super food,” coconut oil has the power to encourage weight loss, improve brain function, boost the immune system, and much more I will expand upon later in this newsletter. But first, I realize that many of you may be under the impression that coconut oil is unhealthy because of its high saturated fat content (a whopping 90% of the fatty acids in it are saturated). You’ve probably been told that saturated fats are horrible things that will do nothing but clog up your arteries. But this is a myth! At least when it comes to coconut oil. There are entire populations that rely on coconut oil for cooking and nutrition that show no evidence of heart disease. The Tokelauans, for example, in the South Pacific, consume 60% of their calories from saturated fat and are a very healthy people. This is because the fats found in coconut oil are different than the fats found in, say, cheese or steak. As it turns out, the saturated fats found in coconut oil are actually good for our hearts! That’s because they are in the form of Medium Chain Triglycerides (or MCTs), while most other unhealthy fats are Long Chain (LCTs). MCTs are metabolized differently than LCTs. Once ingested, they are absorbed quickly between the stomach and intestine rather than mixing into the bloodstream (like LCTs would). This allows the MCTs to go straight to the liver to be converted into energy. Because they are so rapidly absorbed, the calories in the MCTs are NOT stored as fat. Instead, they are converted into fuel and used very efficiently by the body, giving you a boost of energy and helping to preserve your waistline! 1. Coconut oil can help you loose weight! It’s especially great at reducing that stubborn abdominal fat (the most dangerous, heart-unhealthy fat of all) because it removes stress on the pancreas, thereby increasing the body’s metabolic rate. Studies show that coconut oil can increase energy expenditure in a 24-hour period by as much as 5%, which is about 120 calories a day! coconut oil may also have an appetite-reducing effect, making you eat less. Taken together, these properties can help lead to significant weight loss. 2. Coconut oil can boost your immune system and function as a natural antimicrobial because it contains Lauric acid (which then turns into Monolaurin in the body). Monolaurin helps kill bacteria, viruses, and fungi. It’s even been shown to combat ailments like yeast infections, herpes, the flu, Staphylococcus Aureus, measles, hepatitis, ringworm, athlete’s foot, pneumonia, gonorrhea, and ulcers. You can also apply coconut oil topically to cuts and bruises to speed up healing. 3. Coconut oil can improve blood cholesterol levels and may lower your risk of heart disease. The MCTs in coconut oil raise good cholesterol levels and may even improve blood coagulation factors and antioxidant status. Some scientific evidence also suggests that coconut oil supports healthy thyroid function and insulin levels, lowering your risk for diabetes. 4. Coconut oil can reduce IBS by treating many digestion-related problems. The aforementioned antimicrobial properties can kill off various bacteria, fungi, and parasites—the culprits behind many digestive woes. It also helps you absorb the nutrients in your food better. 5. When applied topically, coconut oil can protect hair against damage, moisturize skin, and even function as a light sunscreen—it blocks out about 20% of the sun’s ultraviolet rays. The oil will also improve the moisture and lipid content of your skin. You can even use it as a mouthwash to kill any harmful bacteria in our mouth and improve overall dental health. Other topical applications include: healing stretch marks during pregnancy, lightening age spots, soothing eczema or psoriasis, and stimulating hair growth. Numerous other personal care uses for coconut oil are all over the Internet. 6. 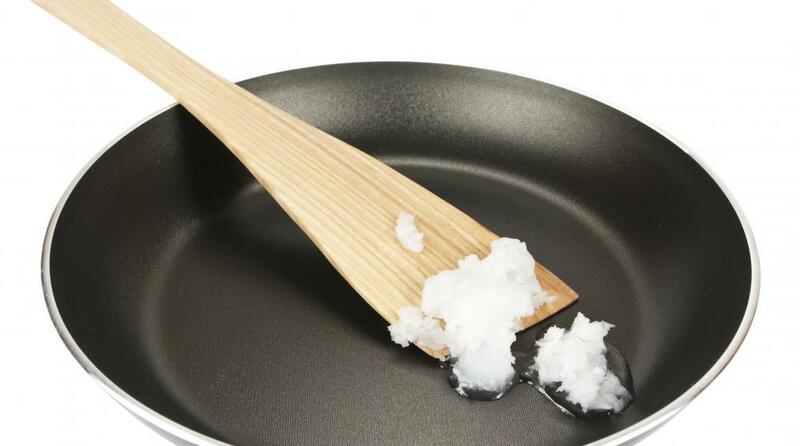 The fatty acids in coconut oil can be therapeutic to a number of mental disorders. Upon ingestion, these fats are turned into substances called “Ketones.” Ketones have been shown to reduce the rate of seizures in epileptic children and may even boost brain function in Alzheimer’s patients by providing extra energy to the malfunctioning brain cells. Ongoing studies are assessing the use of MCTs as an intensive treatment against Alzheimer’s. 7. Coconut oil improves kidney health by helping to prevent kidney infection and dissolving kidney stones. Who knew something so delicious could be so good for you? My hope is that many of you will think about adding coconut oil into your daily routine. There are several easy and convenient ways to do so. You can use it for baking or as a dairy-free replacement for butter. It’s also delicious in stir-frys and can replace vegetable oil in any recipe. Some people even use it as a coffee creamer. I personally love to use it when I make sweet potato fries. Again, you can find different uses all over the Internet. Finally, if you want to experience all that coconut oil has to offer, please by organic, virgin coconut oil. Here are some of my preferred online shopping resources: Coconut Oil Online (www.coconutoil-online.com), Nutiva (www.nutiva.com), and Aloha Nu Coconut Oil (www.simplycoconut.com).